Aditya Air Technics Systems is the leading PVC Strip Curtains Manufacturers in Hyderabad. We have mastered the art of Manufacturing Superior quality PVC Strip Curtains and stood as the Quality PVC Strip Curtains Manufacturers in Hyderabad. Aditya Air Techincs Systems the PVC Strip Curtains Manufacturers in Hyderabad manufacturing the products with best in quality and durability. 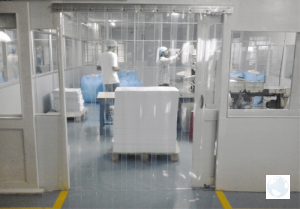 Aditya Air Techincs Systems PVC Strip Curtains Manufacturers in Hyderabad has a facility to offer range of PVC Plastic Strips, PVC shrink Film, PVC Air Curtains, PVC Transparent Soft Door Curtains and Anti Insect PVC Strips. Call: 9849338857 / 9949533378 / 040-69993378 .